A precious cosmopolitan jewel that mirrors the aspirations of a magnificent life, ATS Tourmaline residences are crafted in signature ATS style, beautiful and luminescent like the eponymous gemstone. The elegantly crafted homes offer future home buyers timeless European architecture, beautifully landscaped lush green outdoors, spacious sunlit homes and immaculately maintained world-class facilities. An ATS Tourmaline home is a beautiful dream realized. 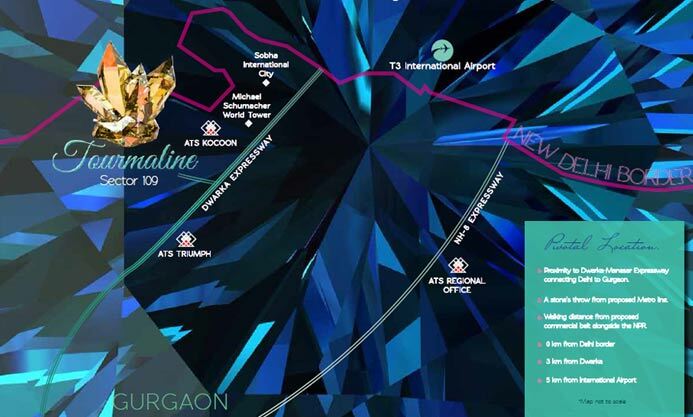 Tourmaline is located in a posh locality that glimmers in the heart of Sector 109 in Gurgaon, a neighbourhood poised to become one of the most prestigious residential enclaves in Delhi/NCR. 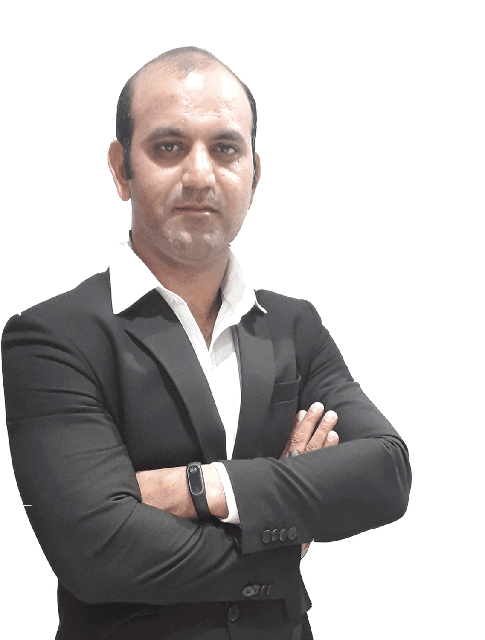 With every project having been delivered within timeline committed, ATS prides itself on being one of the very few builders who not just promise timely possession of homes but also fulfil it. This feeling of trust gets further cemented with our provision of quick and seamless maintenance solutions to all our boutique homes. This passionate commitment towards customer satisfaction makes ATS deliver one landmark project after another and that too as per schedule. Basic Cost, 2 Covered Car Parking, Power Backup(5KVA), Electric Meter Charges & Maintenance Deposit. The above does not include Registration cost of the unit. Registration shall be done upon possession as per the rate prevailing at the time of registration. Additional charges as levied by various authorities shall be charged extra and payable on demand. Agreement registration charges as applicable. TDS 1% is applicable on Basic sales Price as per Income tax act sector 194-A. Running maintenance charges payable on demand. GST will be charged extra, which is subject to change as per tax regulations of India. Cheque to made in Favour Of " Almond Infrabuild Private Limited". 1st and 2nd Floor : Rs. 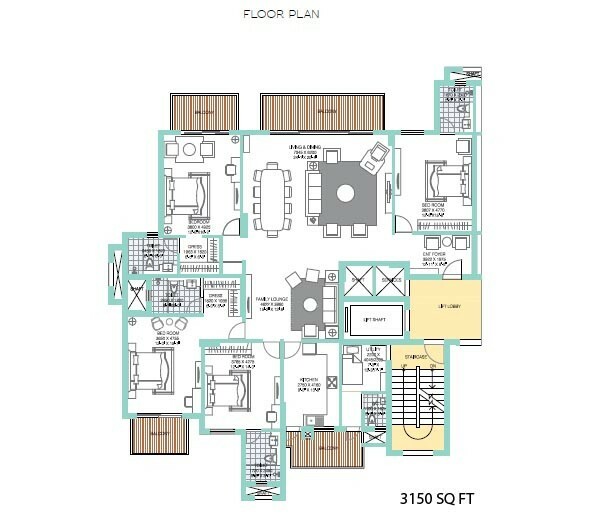 300 per sq.ft. 3rd and 4th Floor : Rs. 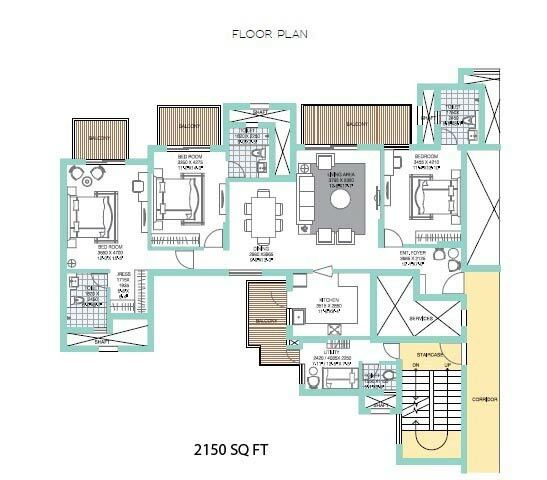 200 per sq.ft. 5th and 6th Floor : Rs. 150 per sq.ft. EDC & IDC of Rs. 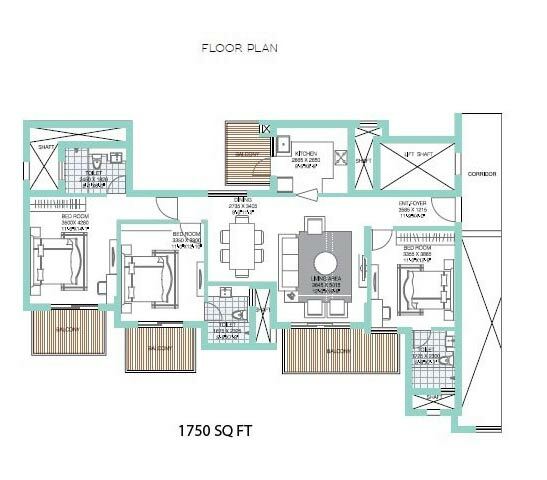 375 per sq.ft. will be charged extra. A stone’s throw from proposed Metro line. 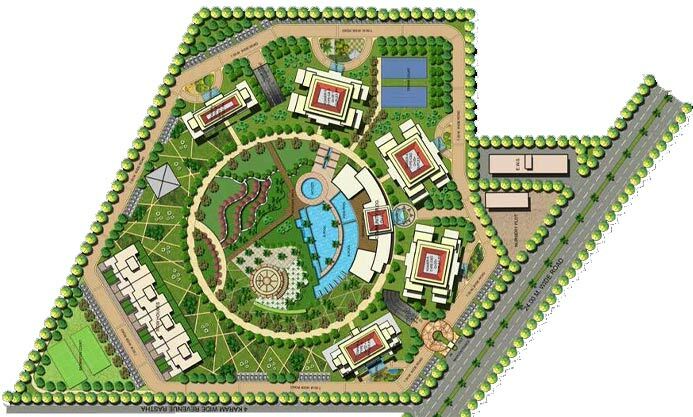 Made up your Mind to Buy Apartment in ATS Tourmaline Sector 109 Gurgaon on Dwarka Expressway. 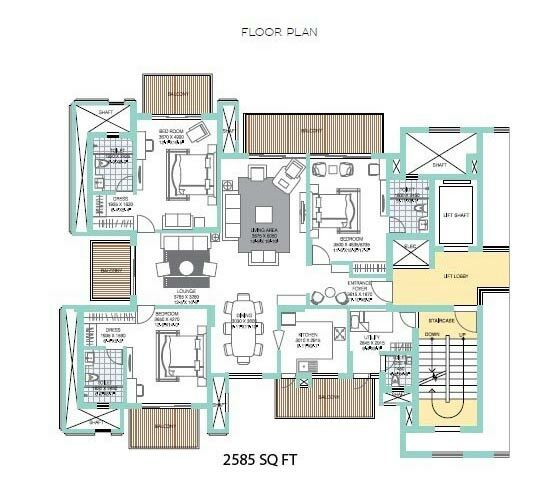 Our Property Advisors are always available to assist you with all the details about the project like ATS Tourmaline Gurgaon Location, ATS Tourmaline Gurgaon Floor Plans, ATS Tourmaline Gurgaon Price, cost, Payment Plan, Subvention Scheme, offers, Delivery Date, possession, Brochure, Additional Charges, Reviews, Specifications, Amenities, Gallery, Images and help you identify a Property of your choice. Now you are just a few steps away from owning your dream property Apartment for Sale in ATS Tourmaline Gurgaon. Fill in all the relevant details in the Enquiry Form and send the same to us. 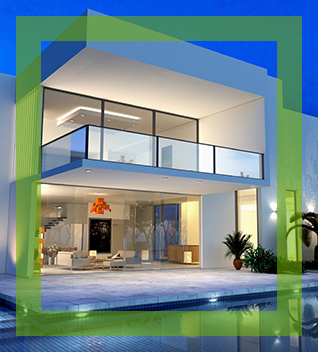 Our Property Experts will get in touch with you earliest. Other projects by ATS greens are ATS Marigold, ATS Kocoon, ATS Grandstand, ATS Triumph.